Please visit us at Secret Angel Ministry at http://www.secretangelministries.org. As a former victim, Secret Angel represents the many nameless and faceless victims of abuse. No one can understand that feeling of being trapped and that feeling of hopelessness–unless they have lived it. Many people can not understand how this can happen, but rest assured, victims never choose to be abused. They never want to be victims. They never want to live in fear. Hopefully, through this blog, more people will be able to understand more about abuse and its victims…. Now, as an overcomer of abuse and domestic violence, Secret Angel is reaching out to help others to also overcome their situations with information and inspiration to see THE LIGHT that led her out of darkness. God rescued her from abuse when she was so broken that she did not even know that she was being abused, and she wants to help others. I am a redeemed and healed former victim of every kind of abuse including domestic violence. God Bless you in your ministry sweet sister! Thank you so much for your encouraging words. I know that God does not want His children abused and is raising an army to fight. Please join me in prayer for all victims of abuse around the world. I really appreciate your support and may God bless you my sister!! Keep up with the good work. If I can help you just drop me a line. I think what you are doing is much needed. ROCK ON! Hi Secretangel, I ordered your book and am still waiting for it to arrive, I check my mail box everyday. I sure hope it gets here soon I am falling apart. Sometimes I wonder why Ieft, my abuser but I know it was the right thing to do. Hi Regina. I am also still waiting on my book to arrive. My publisher said I should have them around the 9th. I will email you as soon as they come in so that you will be expecting it when I mail it. I really appreciate your support. I pray that God will guide you as He did me and protect and provide for you. Thank you so much for your support. I will continue to pray for you!! Awesome story! God does exceedingly, abundantly more than we can even ask or think. Thank you so much Jaz! I really appreciate your prayers and support. God is so awesome! I have dedicated my life to Him for rescuing me and my children and I walk in obedience for whatever He wants me to do. He co-authored my book and guides me with this ministry that He lead me to start. I pray that my book will touch millions of lives. Thank you so much for your support… many blessings to you! Thank you for working to help those that suffer get whole. Thanks Eric… I really appreciate your support… Blessings to you! Looking forward to you book at some point in future! Thank you so much! We are just waiting on Amazon to be ready to release it before the book launch… thanks! Just wanted to take the time to say “Thank You” for answering the call. And, Secret Angel, thank you for the work being done to reach out and help those suffering. Keep up the great work I have only just found your blog and started following. I am slowly moving past the yrs of a marriage full of D.V…It is great to see a blog like this. I am so glad that you are following me. I hope that you find many postings that speak to you. I understand exactly how you feel. So many of us have been broken by these abuses and I pray that all of us will be able to overcome our pasts with healing and restoration. Many blessings to you!!! I had a blog before where I wrote away my life. Now I am try to stay positive and just write from the heart. Sometimes there is a hint of my past, I live 35yrs of DV. I now do a bit of christian writing as I found God after a lifetime of emptiness and now some just plain happy writing. Amen… Sounds a lot like me. I write about abuse and brokenness, but always try to give hope and share the Light that lead me out of darkness. God is the Key to overcoming this world. He is just waiting for all of us to realize it. I pray that He pours out His blessings onto you, my sister!! I agree that time can be great healer. And, I agree that although you’ve had years of difficulties that the rest of the journey can go very well. I too am trying to get my book published. I wrote you yesterday about your experience in that and how you got it done. Today I have one more question. You have a copywrite statement on this page for all your stuff. I have started putting some of my books up on my blog and feel scared that someone might steal them if they get too much of the book. Ultimately I’d like to sell them someday, but till I get the money to self publish I want to help people. How do I get that copywrite to protect my stuff. Then I am guessing that i have to go to widgets and add a statement like yours to my side bar. Thanks for your help. Meghan ps. thanks for liking my statements. I am following your blog now and very happy to have found you. Thanks for following Meghan. I really appreciate the support. I can tell you that I went to the help section of wordpress and looked up copyright. There were several options if I remember correctly to choose from. Then you just copy and paste, putting in your own information. I did not put anything in my book on my blog because it really doesn’t stop someone. I may have mentioned something that were in chapters but never even a whole paragraph to protect the book. Others use there actual pages from their books so it is really up to you how you would want to proceed. I always preferred proceeding with caution. Hope that helps… Many blessings to you, my friend!! a band of angels to save you and i.
showing all their strength and might. in hopes that your faith, they will defeat. and even offer us, control of the world. for they will fight from dawn to setting sun. but the love in their hearts, can not be seen. and the battle is about to begin. and decide what you want to do. make a fool out of you? who fight for our rights. Wow… Beautiful. Thank you so much. May God pour out His blessings onto you. That’s when he realized that he was dead. They had sent him the other way, for his crimes he had to pay. During the time that he was living. For the almighty dollar made him blind. Even charging for illegal abortions. And hadn’t been caught yet. But it was a little too late. He had already lost his soul, as the devil took control. His back on family and friends. Where for eternity he will dwell. Asking for forgiveness for all that he had done. Why is it that we wait until it is too late? As we stand at the judgment gate. Awesome poem. This probably happens more than we can imagine with some doctors. In our tiny community in Montana, there is an overwhelming number of women and children suffering serious abuse with no way out. The nearest town is way too far away and no chance of employment for adults here. This is our mission field for people in addictions; however, the need is growing to help the lost who have suffered grave abuse. If you have any advice or contact, please contact me privately on my blog. There are only 3 of us who are true followers of Christ; the rest depend on pagan religions. You wouldn’t know you were in the US here. If nothing else, please pray that the Lord would help us find a way to help them. Thank you & God bless your work. Great job!!! Thank you so much for your support. I will be praying for you and will send your information to a social worker affiliated with our ministry in case she is familiar with any assistance there. I pray that God moves in your favor to help those in need in that area. Thank you 🙂 I will keep both of our ministries in prayer each and everyday. Thank you so much. I pray for abuse victims around the world every day and will be praying for your ministry as well. May God pour out His blessings upon you! You too… Our social worker should be contacting you today so watch your email. Many blessings to you!! I bless the day we met 🙂 Please receive my…our… heartfelt gratitude for your prayers and help. Thank you!!! We will continue to be praying for you. God is making Divine connections and there is nothing that He can’t do. Many blessings to you and your ministry too, my sister! Biggest 🙂 and HUGE (((Hugs))) in our Lord Jesus!!!!!!!! Hi, I could not find where I last wrote to you, but I wanted to say thanks for your prayers and your ministry and give you an update. I finally did break things off with my fiance. Most people I know said he was emotionally abuse to me. My psychiatrist, who met him, said he has severe psychological issues and was using me as someone he could control. He keeps texting me, although I don’t text him back. Some of my girlfriends say I should block his texts. But I know he’s going through a terrible time and don’t want to make things worse. As long as he isn’t in my life. I don’t have to read them. My psychiatrist pretty much told me to stay away from him. I already have a mental disorder and he had me falling apart both mentally and physically. Thanks. Blessings to you, my friend. Thank you so much Jenny! Yes, it is only through Jesus Christ that we can be transformed and go from victim to victorious. We serve an awesome God!. What He has done for us, He can and will do for many others. I pray that many more victims will get on the path to overcoming with Christ. Many thanks and many blessings to you, my sister!! Thank you so much. I really appreciate your support. Many blessings to you! Just wanted to say thanks for visiting my blog! I really appreciate you taking the time to read and like my post. Thanks Christian. I was checking out your blog some more and look forward to more postings. I would love for you to post some of your music. I would love to her it. God bless you, my brother!! Thanks for visiting. It’s nice to share the storms and the sunshine days. Thanks JanKarol. Many blessings to you!! My daughter was in abuse and God gave me a dream about her and it was her way of escape. Thank you for praying for all of those that never have a voice to cry out on their behalf. 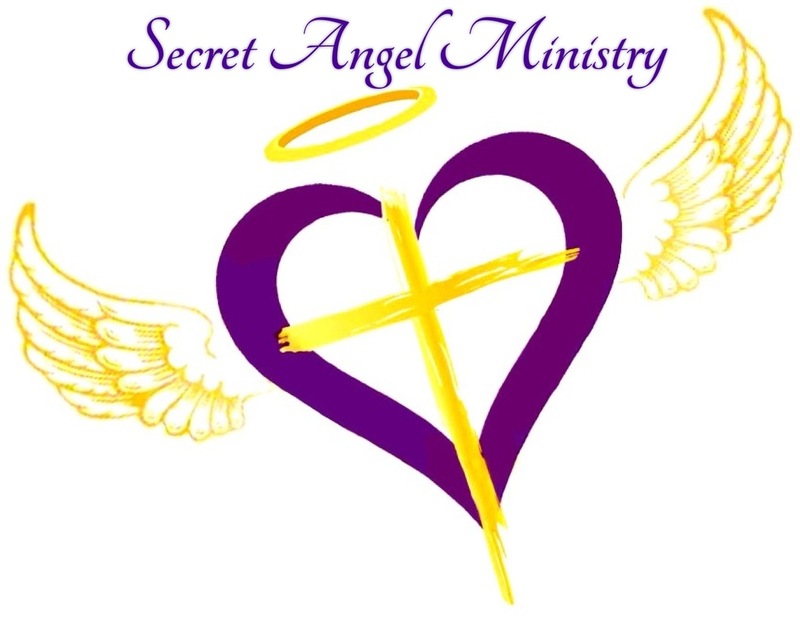 Secret Angel Ministry. You are blessed to be a blessing. You are chosen vessel of honour for God’s Glory blessing millions all over the world. God bless you. Your kind words deeply touched my heart! I praise God for the words that He gives me and the hearts that He touches… and thank Him for leading me into the future that He has planned for me. Many thanks and many blessings to you!! Secretangel, I just wanted to thank you for your thoughts and input on my most recent post. I am happy that you have been following my blog and do realize that a lot of it will not be pretty as abuse never is. Hope you are doing well and all the best to you! Many thanks and many blessings to you, my friend. I have walked that path of workplace abuse and I totally understand where you are coming from. God bless you! Great looking blog. Thanks for your like of my latest post. Great blog you’ve got here Secret. Keep up the great work! Thanks Pete!! I really appreciate your encouraging words. God is so good!! Many blessings to you!! Thanks for liking so many of my posts! 🙂 May the Lord continue to bless you, your family and your ministry. Michael, God is so good!! I praise Him for the divine connections that He is making across the globe. Many blessings to you too, my brother!! where others before him sat and wept. the devil it was an abduction. that all others shook with fear. giving a warning to all its people. to the earth to see which one had won. as his pitchfork struck him and he began to bleed. and the devil knew he had no chance. as the angels wings weakened him with every stroke. because it had become much to hard. where all he could see was happiness and love. Wow… Powerful!! Angel vs devil… Awesome post. The battle is on. I pray for many more souls to be turned to the Lord amidst all the evil around us. Satan has already lost. Hi Forest9patrol… I will email you. Blessings to you! God Bless you and your Ministry as well as this blog. It will help so many, I just know it. Big hugs to you my Angel. Thank you so much for your encouraging words and support. I really appreciate the prayers for our ministry. Many blessings to you too, my sister angels! But they could not see : “my heart and my soul “. And your mind cannot determine what is wrong and what is right. Making their hearts and souls stronger – ready and willing to fight. No more will you be able – to raise that abusive hand . To stop your abuse once and for all. Get your selves ready for the “ unbroken spirits “ fight. But if you don’t try the next step may be their gun. Get out of it then – while you still have the time. Love this!! “Unbroken spirits” fight is very appropriate for God is calling many of us out of our abusive pasts to speak out against these abuses to help others. Thanks for sharing. You are a blessing, my brother!! Pingback: Secret Angel Ministry Website | Does the Future come about because of our past? Great to stumble across your website today. You are doing important work. Please check out our website: WhenLoveHurts.ca. We have lots of information for women who are experiencing abuse. Some content specifically for Christians. If you put “Christian” into the search window on the blog you can find it. Wow. Powerful resource. I looked up the “Christian” postings and can totally relate to what you wrote. Many women have been shamed into staying in various abusive relationships by pastors or clergy who have no concept of the struggles that are encountered behind closed doors. But God knows and I pray for His guidance and protection in and/or out of every situation. Karen, thanks for sharing your link and all that you do to help victims. I will pass it on to members of our ministry team. May God pour out His blessings upon you! Hi Secret angel, I wonder if you would like to come to a new blog I have set up ‘set free in Jesus’. As an abuse survivor since childhood and domestic violence the Lord is setting me totally free as I journal and have people praying for me. I shall also share resources I have been given. I was from a background of witchcraft and occult and Jesus has been so patient waiting until I am strong enough to take the next step of recovering memories which have been up till now like black floating figures. Here is my link if you would like to join me and a few others. It is private at the moment and as I am led the LORD is telling me to who invite for protective reasons at this time. Jacqui, my heart goes out to you for all that you have been through. I know that God has big plans for you as you overcome the abuses of your past. He is calling us to overcome and to walk into the fullness of the calling that He has placed on our lives. I am still a “work in progress” myself but I know with God’s grace and mercy, He will bring total healing and restoration to all of us who seek His Will for our lives and overcome in Jesus’ Name. I look forward to reading more of your postings and will be praying for you! Many, many blessings to you~! Hey there…so what is your email? I’m not finding it. I’d love for you to share your story and ministry on my blog, The Christian Creative Nexus. Would you consider it? I really enjoy your posts and would love to help support your message. Please let me know and I’ll send my email, if you like. Sorry for the delay but just getting to comments. I really appreciate the support for me and our ministry. I would love more information about your blog. I could not find The Christian Creative Nexus. Please feel free to email me and provide me the link to get to your blog. Thanks again and God bless you!! Oh that’s great news 🙂 I’ll send the info to you right away through the Contact form since I don’t have your email. Hi Dropped Pebbles. Sorry but I never got the notice from the contact form. Does not seem to be working right. You can email me at secretangel.ps911@gmail.com. Thanks and God bless you!